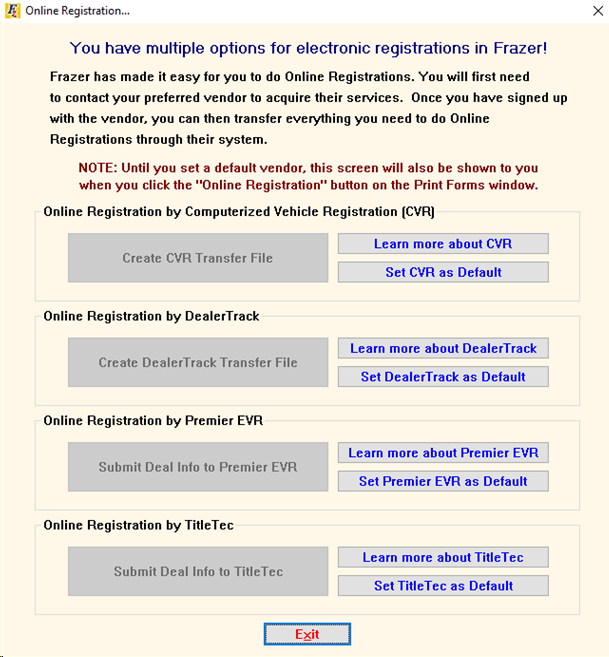 Frazer has made it easy for you to do Online registrations. You will first need to contact your preferred vendor to aquire their services. Once you have signed up with the vendor, you can then transfer everything you need to do Online Registrations through their system. Select which default company you are working with in your System Options on Tab 6 - Printing Options. Frazer works with the following companies for Electronic Registrations. Frazer integrates directly with the GIADA TOPs for sending and printing Temp Tags. You can enter your TOPs username and password in your System Options, on tab 6 - Printing Options by navigating to the "Temp Tag Vendors and Defaults" button and then selecting "Solera / TitleTec" and clicking the "TitleTec Setup" button in the bottom right. 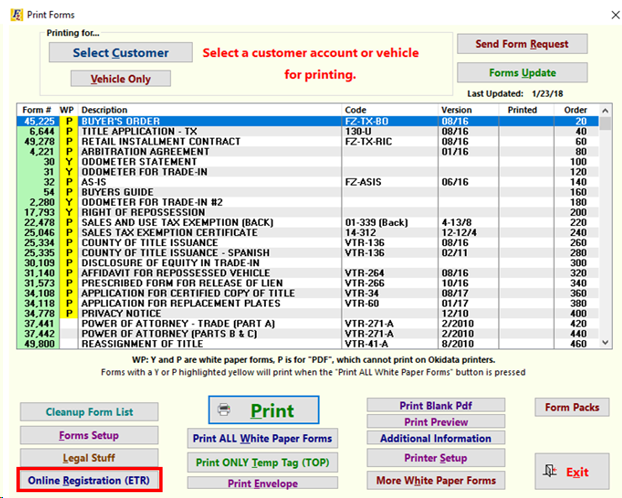 You can then print your Temp Tags right from the Forms Printing Screen.